Need a garage in Farnham to fix the Coolant Change on your Lexus? Save money: Instantly compare Lexus Coolant Change prices in Farnham to find the best deal. Save time: Find and book the best Coolant Change deal quickly and easily with our online booking tool. No upfront registration required! Quick and easy: Simply enter the vehicle registration number of your Lexus and your post code, compare prices, choose a garage in Farnham and book your Coolant Change. Speak to an expert mechanic: If you need to speak to a mechanic about your Lexus, call one of our experts today on 03304 004439. "Very helpful staff. Good feedback from MOT tester and very flexible and accomodating with my re-test date"
"I am very happy with the service, they were honest to me every time"
"Excellent friendly service. Trustworthy garage at a very good price." 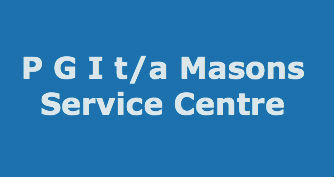 "Routine service. Done quickly. Fully documented. Great communication. Good price. Text alert when car is ready is really handy"
"Easy booking online, no hassle and good value." "Very happy with the work done." "Good visit but would have loved it if the car received a wash as well." "Honest, friendly and reliable. If you want a proper job, these guys are great." "Absolutely brilliant service from the second I waked in, pleasant, professional and thorough. Quick turn around and even had my car cleaned inside and out ready for pickup!" "First time I’ve used this garage and I’ll be using it again for future work great price and great service from start to finish"
Coolant is a specially-formulated chemical liquid, commonly known as antifreeze, that circulates through a car’s engine. It removes excess heat from a car’s engine by passing it through the car’s radiator. Furthermore, the solution contains inhibitors that protect the metal, plastic and rubber in the cooling system from corrosion. And, as the name antifreeze suggests, it also doesn’t freeze up in bitterly cold conditions, so it plays an important role in a car all year long. Why is changing the coolant important? Coolant levels should be checked frequently, at least every 3-6 months. Low coolant can cause overheating, which would have serious implications for other components on the car. Even though coolant can leak and evaporate over time, in many cars it often looks as though the coolant never needs changing because its level seems to stay the same. However, draining and flushing the coolant system, including the radiator, at least once a year is important. Flushing pushes out all the old coolant, debris from corrosion and scale. If left in the engine, it may become clogged up, potentially causing extensive damage. How is a coolant change done? Before a mechanic drains the cooling system, he might add coolant cleaner to the coolant and then start the engine, depending on what the manufacturer specifies. After the car has run for a while, he would turn it off and drain it. He would then add water to flush it and drain it again, twice, before finally putting in the fresh coolant. What are the possible signs that a car needs a coolant change? When a car’s maintenance or engine temperature light illuminates on its dashboard. If the car’s engine starts running at a higher temperature than usual, signifying that the engine is overheating. How long does a coolant change take? How much does a coolant change cost? Lexus is the luxury vehicle division of Japanese automaker Toyota. The Lexus marque is marketed in over 70 countries and territories worldwide and has become Japan's largest-selling make of premium cars. The company is headquartered in Nagoya, Japan, with 0perational centers located in Brussels, Belgium, and southern California in the US. Lexus has built up a reputation over the years for building high-quality, comfortable, technologically advanced cars. There isn’t anything particularly cheap and cheerful in its range, but you can expect to see a great selection of well-made, well-executed high end vehicles. Lexus also was responsible for building the astonishing, no longer produced LFA supercar, which was the Japanese manufacturer’s first entry into the world of high-performance cars. The experiment ended up spawning a number of sporty coupe offerings. This might sound like a question with an obvious answer: you need a garage that can service or repair your car quickly and at a good price. But think again and you may realise there are other factors that affect your choice of garage in Farnham. If you need to bring your son or daughter with you when you take your car in, are there toys in the waiting room? If you’re dropping the car off between school and work, can you pick up a cup of coffee while you’re there? Might the garage even collect your car and drop it back at your house after the work is done? You can find answers to all these questions on BookMyGarage.